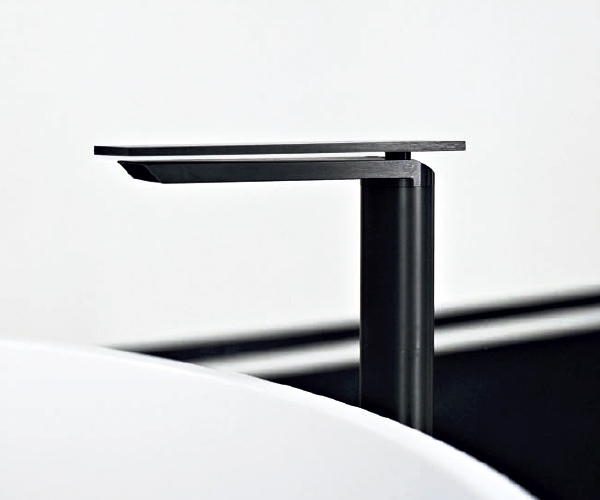 This post is a sponsored series that takes a fun peek at the gorgeous details of modern life. 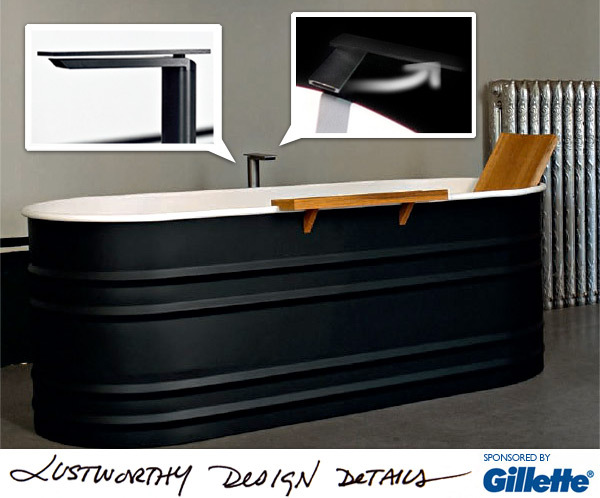 The irresistible design details that enhance our lives… Gillette is the sponsor… but, as always, the post and ideas are 100% NOTCOT. 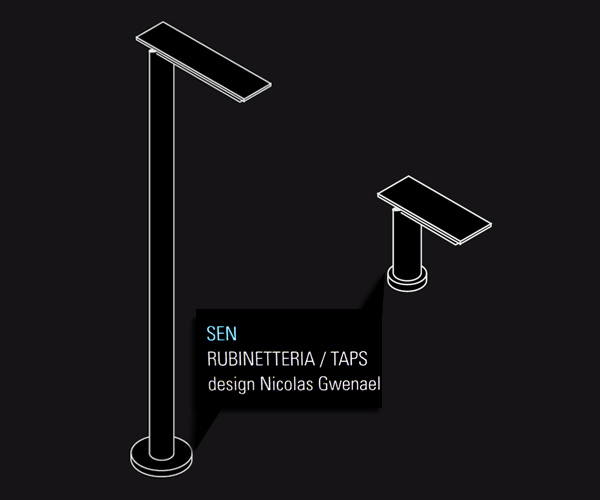 Found at Agape’s showroom at this year’s Salone was a interesting combination between modern rustic and stylized high tech, Patricia Urquiola’s 2008 design “Vieques” bathtub and Gwenael Nicolas’s recent addition to his “Sen” faucet program created also in 2008 for the Italian company, which will be finally opening an Agape store in NY May 17th during design week! 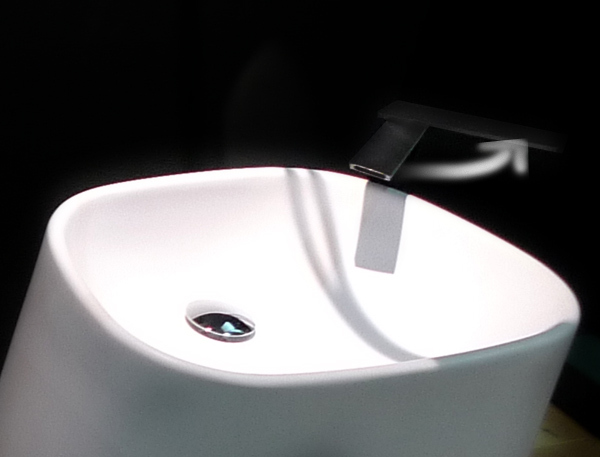 It’s absolutely breathtaking the way the faucet functions… and would be a perfect match with the matte black japanese “tools for men” featured earlier… even though first out in 2008, seeing it in person just made me want it that much more… take a peek at close up images of this beautiful line on the next page! 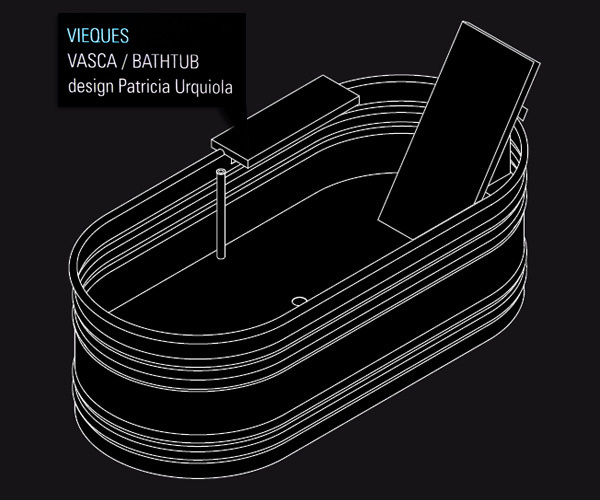 About Vieques bathtub: Like an old-fashioned tub: simple, archaic, full of references to ancient paintings - so is Vieques, the latest design by Patricia Urquiola, the Milan-based Spanish designer. 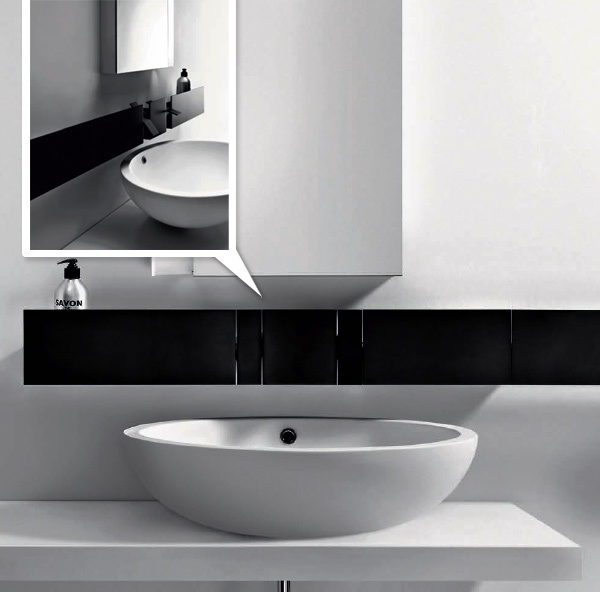 Made from painted steel - white on the inside and dark grey on the outside - it is an original and unconventional new bathroom element,launched at Cersaie, in Bologna. 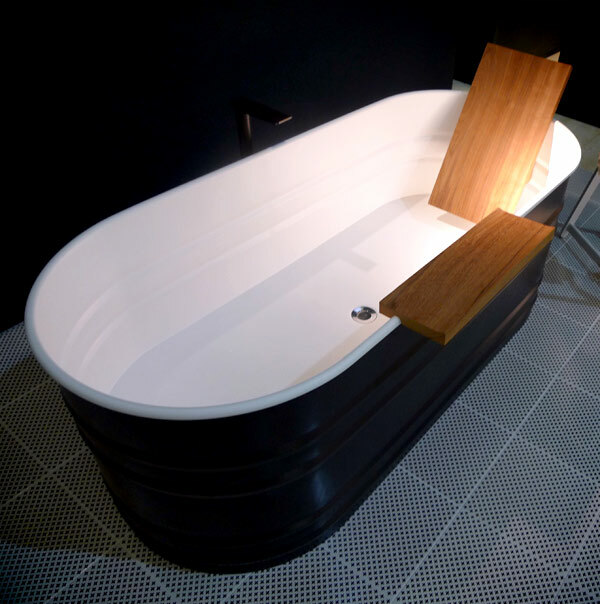 The tub can be fitted with a backrest and a wooden tray to ensure the necessary comfort. Vieques was created by Patricia Urquiola for a luxury hotel in the Puerto Rican coastal resort by the same name. In the designer’s own words: “Vieques is a very beautiful island, wild and protected, where nature is everywhere and contact with it is almost intimate. 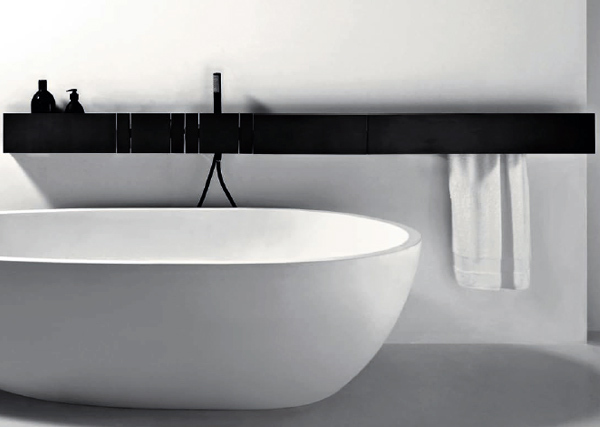 This contamination was transferred to the bathtub project”. “Vieques is a very simple object. In my opinion, it is very difficult to design simple objects well, these days. This time, I think I succeeded. Vieques is archaic, basic and, at the same time, full of evocative associations”. Patricia adds “I like Vieques because it is like me. It is witty and, I hope, ironic! Maybe it follows in Achille Castiglioni’s footprints”. 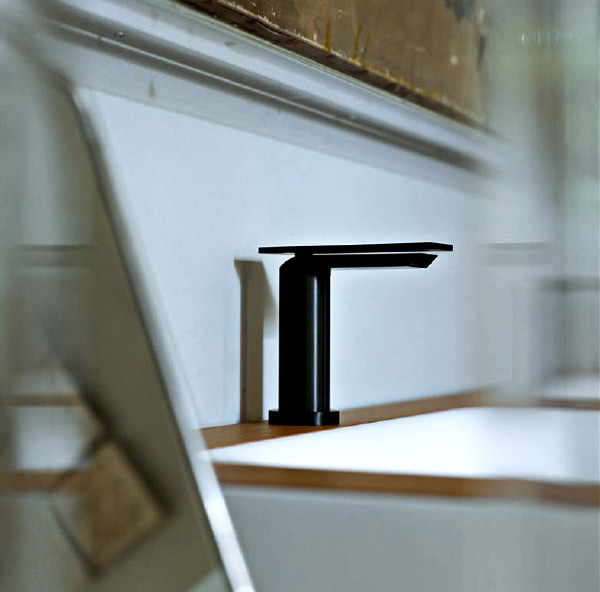 The Sen faucet is a super sleek almost Sci-Fi single hole tap for washbasin or bidet made from brushed anodized aluminum in black or dark gray finish. 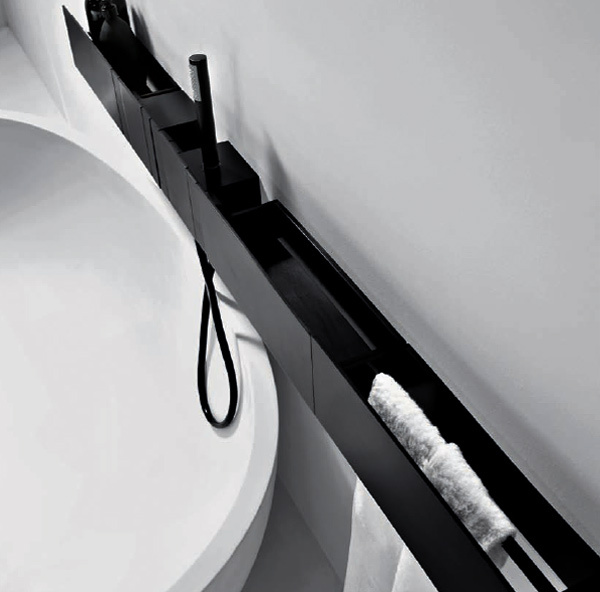 The accessories include holders for small objects in various sizes, double toilet roll holder, wall mounted toilet brush and towel holder. 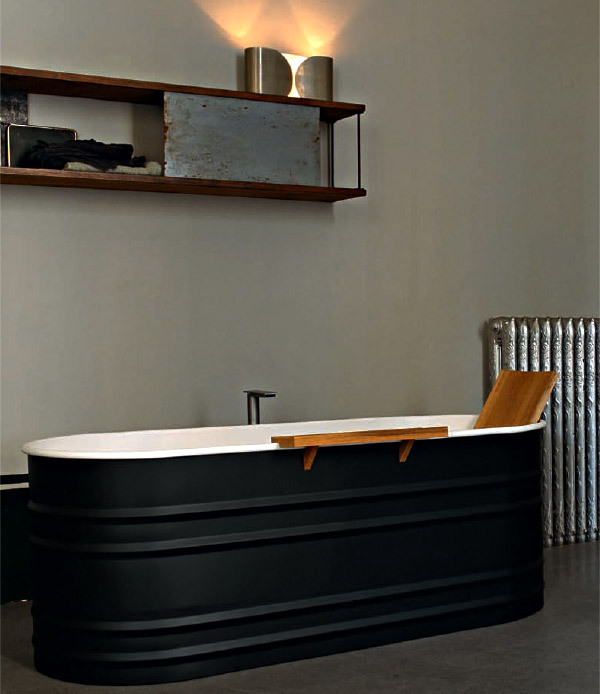 I’ve been planning to make a ‘cowboy hot tub’ out of a horse tank like this and a chofu heater and was wondering how I might add a back support. This looks like a nice simple solution.